Here's how to spend your first 30 minutes with Samsung's latest flagship phone. 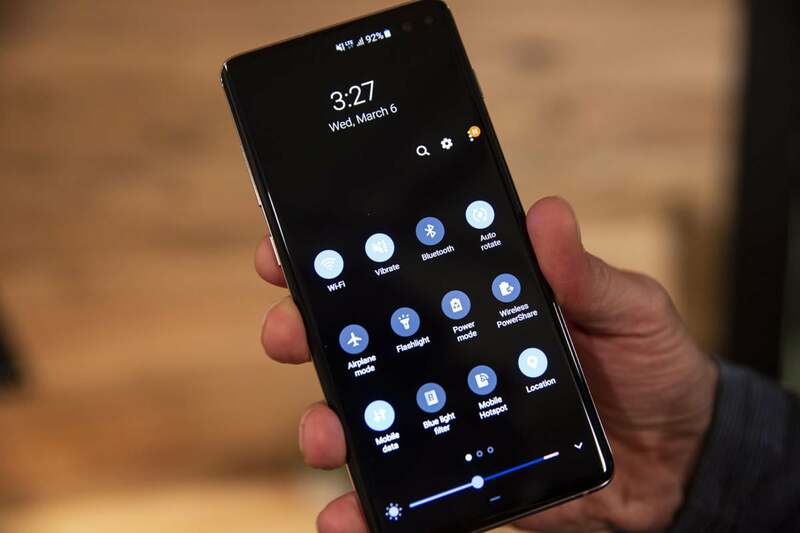 The Galaxy S10 defaults to collapsing all your lock screen notifications, which means an extra tap to see them on the lock screen. Yes, they cover up that big, beautiful screen, but having expanded notifications is more functional. 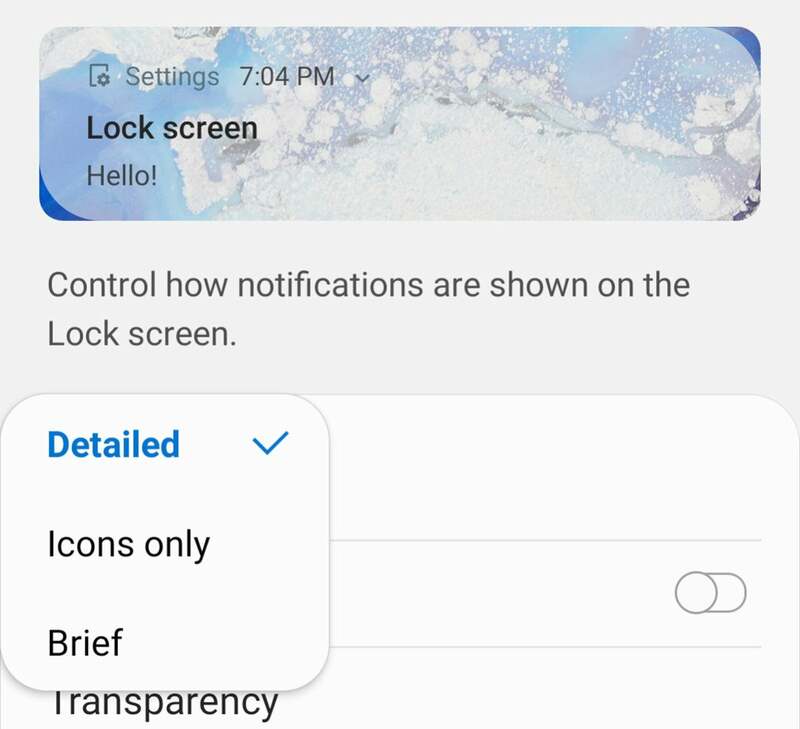 You can change this setting under Settings > Lock screen > Notifications. Change the “View style” from “Icons” to “Detailed” so you can see notification details immediately upon waking your phone. 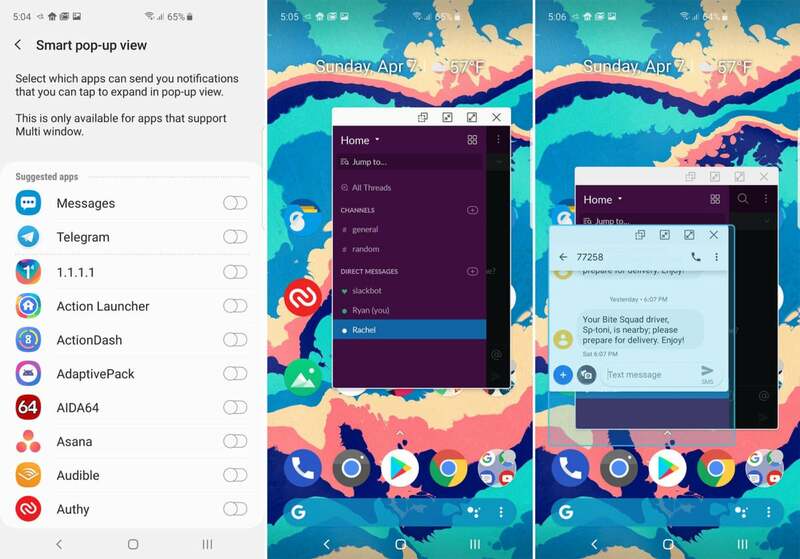 Samsung’s pop-up view multitasking experience is still available on the Galaxy S10, but it’s less prominent. The best way to use it is as part of the “Smart pop-up view” notification system. You can find the relevant options under Settings > Advanced features > Smart pop-up view. Any apps you activate in this list will appear in floating “pop-up view” windows if you tap the heads-up notifications. These windows are resizable, and you can have more than one open at the same time. 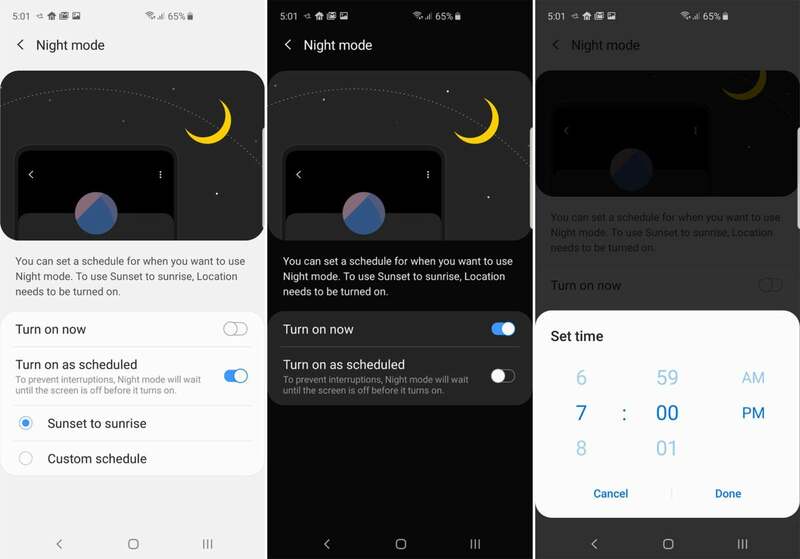 One of the best features of Samsung’s One UI is the option to turn on a system-wide night mode. You can find this under Settings > Display > Night mode. In night mode, the system settings, launcher, and other stock Samsung apps will switch to a dark theme that won’t burn your retinas in a dark room. You can turn it on or off manually, but the GS10 also supports an automatic sunrise-sunset schedule and a custom schedule option. The Galaxy S10 has a small translucent handle on the far right edge of the screen, known as the Edge Panel. With a swipe, this provides quick access to apps, contacts, and other features. It’s only useful if you customize it, though. You can do this by opening the Edge Panel and tapping the settings gear in the lower left corner. From here, you can choose which panels appear and in what order. Some edge panels like apps and contacts include additional settings so you can choose the included items. Don’t forget to tap the menu button and check on your handle settings, too. That allows you to change to location, size, and color of the handle. Samsung has struggled to make Bixby a worthwhile service, but Bixby Routines might actually save you some time. These are basic automation features built into the phone, and aren’t tied directly to Bixby Voice. 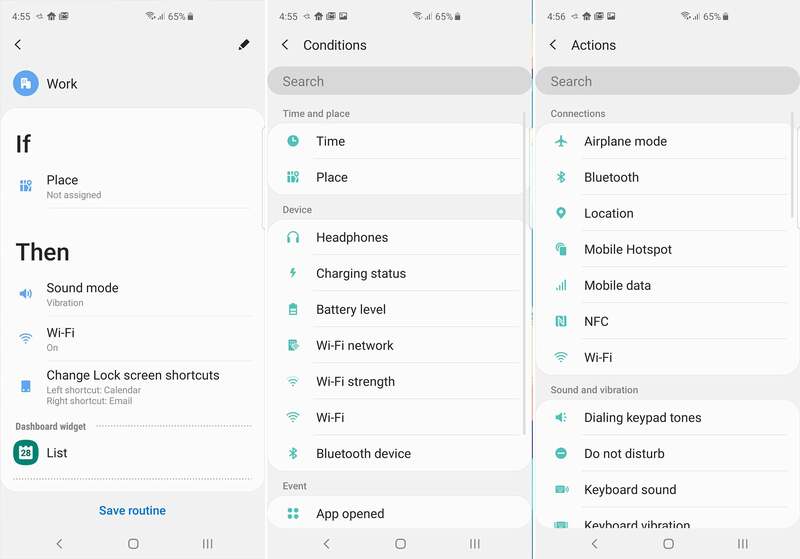 You can set them up under Settings > Advanced features > Bixby Routines. There are some pre-generated routines like “Work” where you can change your lock screen shortcuts to more business-oriented apps when you’re at a designated work location. Meanwhile, “Before bed” flips on the blue light filter, dials down the brightness, and mutes notifications. You can also create your own completely custom Bixby Routines, just as you might with IFTTT. Want to automatically open Spotify when your Bluetooth earbuds connect? You can do that with Bixby Routines. Samsung still has a Bixby button on the Galaxy S10, but thankfully you can now remap it without any third-party workarounds. 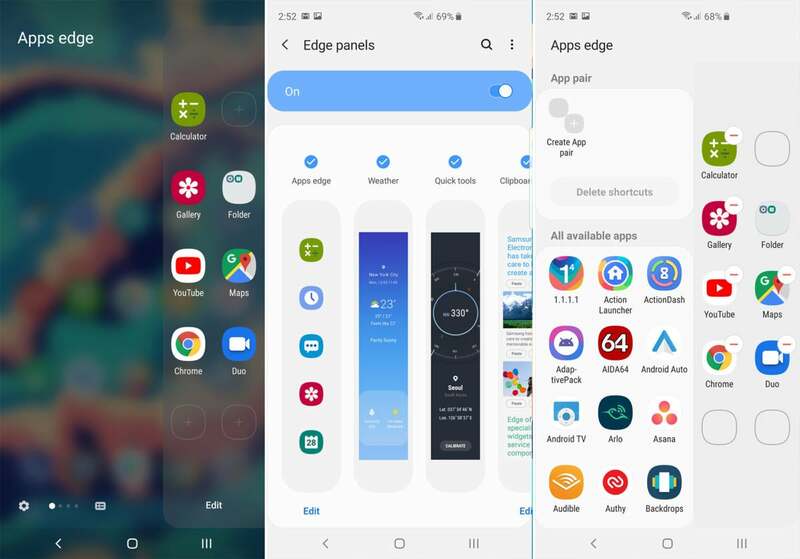 Open Bixby and go to the settings. Under “Bixby key,” you can choose if you want a single-press or double-press to launch Bixby home. Set Bixby to a double-press and turn on the option to open an app on single-press, for example Google. You can also set the button to launch a Bixby Routine with a single-press. Even the smaller Galaxy S10 variants are on the large side, and you might not always be able to use the phone with two hands. That’s when One-handed mode can be useful. This feature is disabled by default, but you can change that under Settings > Advanced features > Motions and gestures > One-handed mode. When enabled, you can shrink the active screen area down to the lower left or right corner with a swipe gesture. 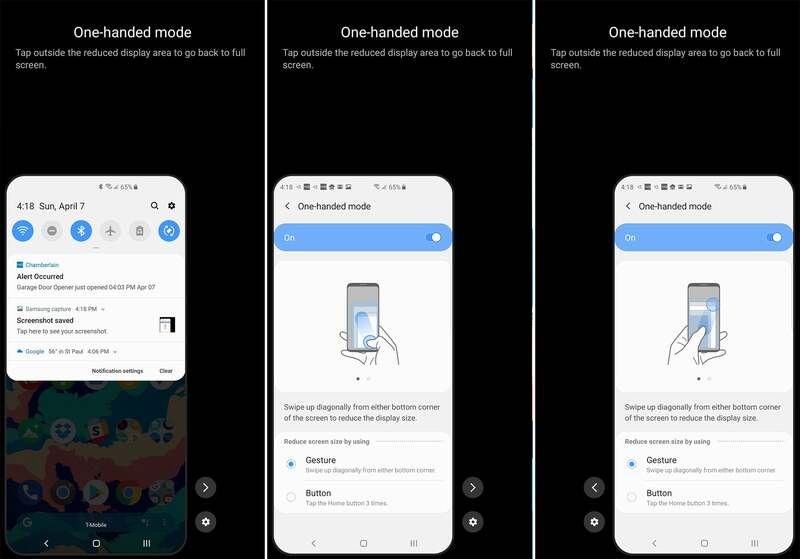 When you’re done in One-handed mode, simply tap outside the screen area to restore the full-sized display. 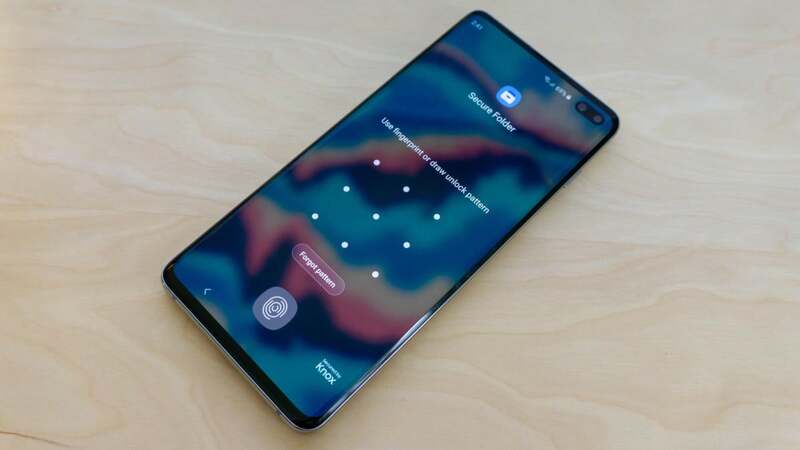 Your phone probably contains a lot of personal data, and the Galaxy S10 includes a powerful feature to keep the most sensitive data safe. Samsung’s Knox security framework can keep apps and files secure with hardware encryption, and it’s easy to set up. Just go to Settings > Biometrics and security > Secure folder and follow the prompts to create the secure container. You’ll have to choose a password, pattern, or PIN to set up Secure folder, but you can associate your fingerprints with Secure Folder as well. The apps and data you put in Secure Folder are only accessible once you’ve unlocked it, and it locks again once you put the phone to sleep. 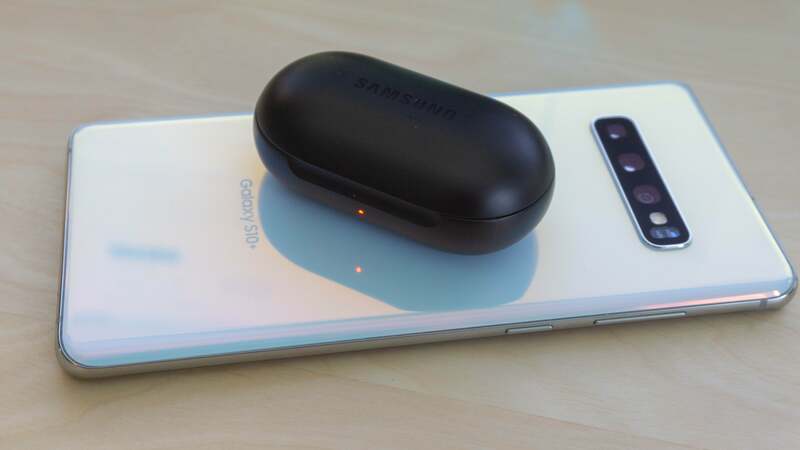 Like all of Samsung’s recent flagship phones, the Galaxy S10 can charge wirelessly. However, the Galaxy S10 can also go the other way, supplying power to most Qi-certified phones and accessories. To turn on “Wireless PowerShare,” pull down the quick settings and find the icon. Once activated, flip your phone face down and place the other device on its back. This is handy to juice up your wireless earbuds or smartwatch, but you can also use it with other phones.